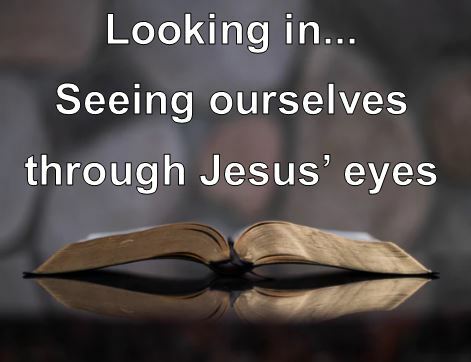 Beginning in February, through the season of lent, and leading up to Easter the Theme for our Sunday Bible Reading, Preaching, and Teaching will be Looking In – Seeing ourselves through Jesus’ eyes. We will be reading, thinking about, and seeking to apply the parables of Jesus in Luke’s Gospel. These parables have as a focus the challenges of living as a disciple of Jesus. These parables are held up by Jesus like a mirror, where we can see ourselves reflected, in our relationship with God, and our relationships with other people. Traditionally in the Church the season of Lent is a time of preparation including study, repentance, fasting, prayer, and self-examination. Our Sermon Series in the coming weeks and months should encourage us to practice these spiritual disciplines, and open our eyes and our hearts, to Jesus’ cross and resurrection in a new and living way.